Anju Kalra has been awarded Hindu Council of Australia’s Gargi Woman Award 2018 for her outstanding contribution to Community as a Dementia Consultant. 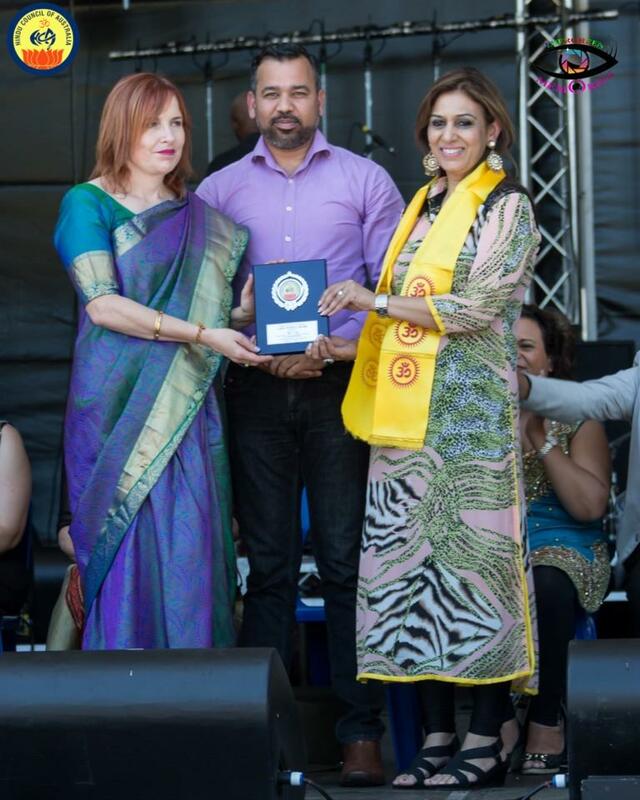 The award consisting of a plaque was presented to her by Member of Parliament – Granville Hon. Julia Finn and Mr Sameer Pandey Councillor, Parramatta Council . She is a Dementia Consultant, expert in Aged Care and Disability, She has been awarded as Citizen of the year in 2017 in hills Shire for her outstanding contribution to the community in working with seniors from multi-cultural backgrounds in Dementia, Aged Care and Disability. Her name appears in worlds Who’s who in 2016 for her outstanding contributions to the seniors living in the community. Founder and President of Dementia Support Group for Indian Australians. Hindu Council appreciates her Outstanding contribution to Community services as carer for dementia, aged care and disability. Anju Kalra has been awarded the Gargi Woman Award for her outstanding service to the community as a Dementia Consultant.